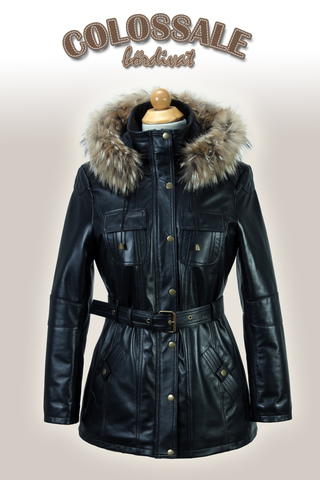 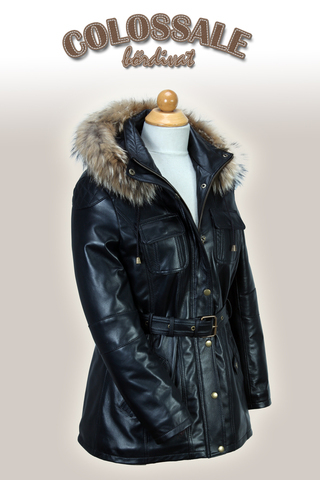 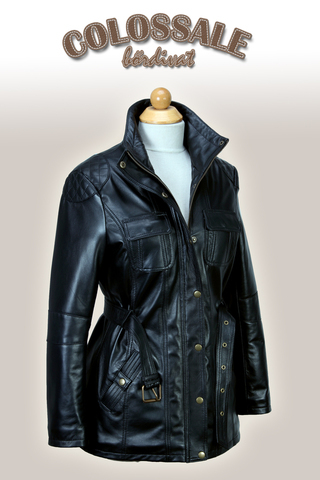 Warm, trendy, zippered, 3/4 leather jacket for women with slim waistband and practical pockets on both sides decorated with stubble on shoulders. 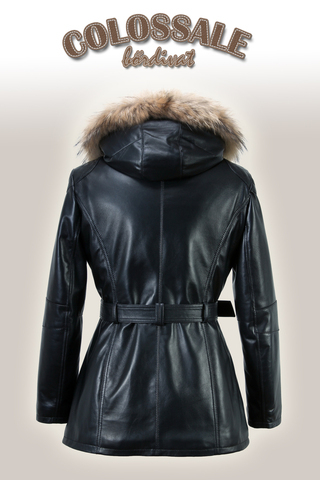 The hooded zipper is removeable so you can wear a completely different type of coat. 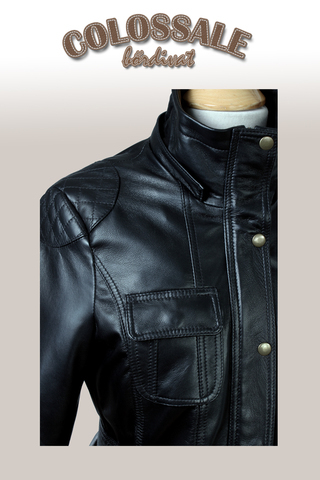 We can produce this model up to 15 different colors.